The ongoing partial shutdown of the federal government forced flight restrictions at New York’s LaGuardia Airport on Friday, but operations at Salt Lake City International remain unaffected. The Federal Aviation Administration issued a statement that because of a “slight increase in sick leaves,” it had “temporarily” restricted flights in and out of LaGuardia. “We’ve mitigated the impact by augmenting staffing, rerouting traffic and increasing spacing between aircraft when needed. The results have been minimal impacts to efficiency while maintaining consistent levels of safety in the national airspace system." It has not exactly been business as usual at Salt Lake City’s airport, Volmer said, but passengers haven’t been adversely affected. The Transportation Safety Administration continues to conduct security checks and air traffic controllers have kept flights on schedule, despite the fact that those employees won’t get paid until the government reopens. They missed their second paycheck Friday. 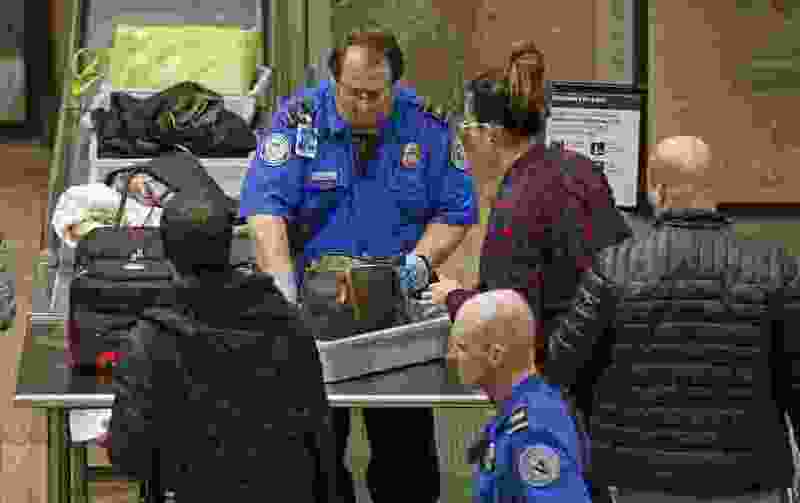 (Trent Nelson | The Salt Lake Tribune) Salt Lake City Mayor Jackie Biskupski had pizza delivered to TSA and other federal employees to thank them for working at the airport without pay during the partial federal shutdown on Tuesday Jan. 22, 2019. Food from the Utah Food Pantry was stacked around the training room to cover the needs of employees. Members of the American Federation of Government Employees have been protesting at the airport, and the TSA training room at Salt Lake International has been turned into a food pantry for workers. A number of food vendors are also providing meals.